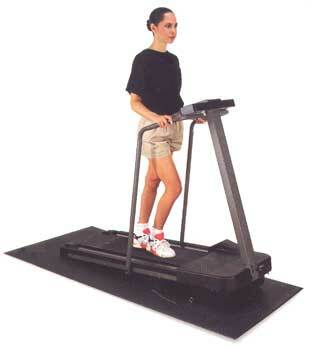 Treadmill Mat to Reduce Vibration under Your Exercise Equipment. A high quality treadmill mat will help protect your floors from damage that workouts can inflict on your flooring. Treadmill mats will reduce aerobic impact, eliminate vibration, and stop carpet fibers from getting into the moving parts of your exercise equipment mats. These foam vinyl cellular exercise equipment mats create a soft yet durable pad for your exercise equipment to rest on. 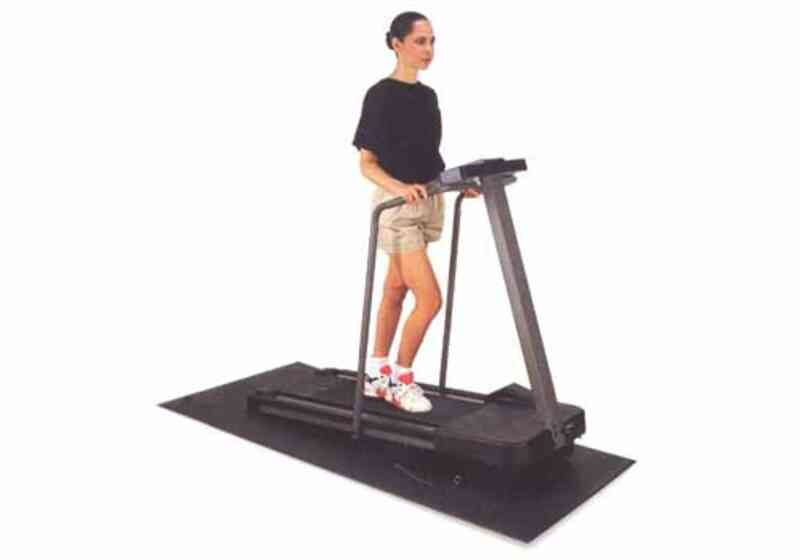 Ideal for treadmills, elliptical trainers, rowing machines and ski machines. 3/8" thick for everyday use or heavier equipment. 1/4" thick for light duty. A high quality treadmill mat will help protect your floors from damage that workouts can inflict on your flooring. Treadmill mats will reduce aerobic impact, eliminate vibration, and stop carpet fibers from getting into the moving parts of your exercise equipment mats. These foam vinyl cellular exercise equipment mats create a soft yet durable pad for your exercise equipment to rest on. Ideal for treadmills, elliptical trainers, rowing machines and ski machines. Weight of Standard Grade 1/4" thick: approx. 9 lbs. Weight of Deluxe Grade 3/8" thick: approx. 13 lbs. Weight of Extra Large Treadmill Mat: approx. 20 lbs. Also see our Rubber Extra Large Treadmill Mat. Custom sizes available in 2', 3', 4' or 6' width up to 60' long.